Ken Fowler is a 53-year-old air traffic controller from Dorset who has a self-described 'frustrated adventurer' trapped inside of him. What would any normal, frustrated adventurer do? Try and sail around the 183 islands that make up the coast of England and Wales, with more being discovered by Ken every day! Ken had the goal in mind of raising £50,000 for two incredible charities and set about releasing that frustrated adventurer inside of him by undertaking various feats that would take him across America on a bike, and from Lands End, England to John o Groats in Scotland in YODA, his beloved "two bathtub long" dinghy, as well as his most recent adventurer, sailing around the many islands of England and Wales! Having experienced the devastating effect of cancer at various times throughout his life, including losing his father from it, Ken felt a strong pull to do what he could to help prevent the dreadful illness from affecting others as it did him. 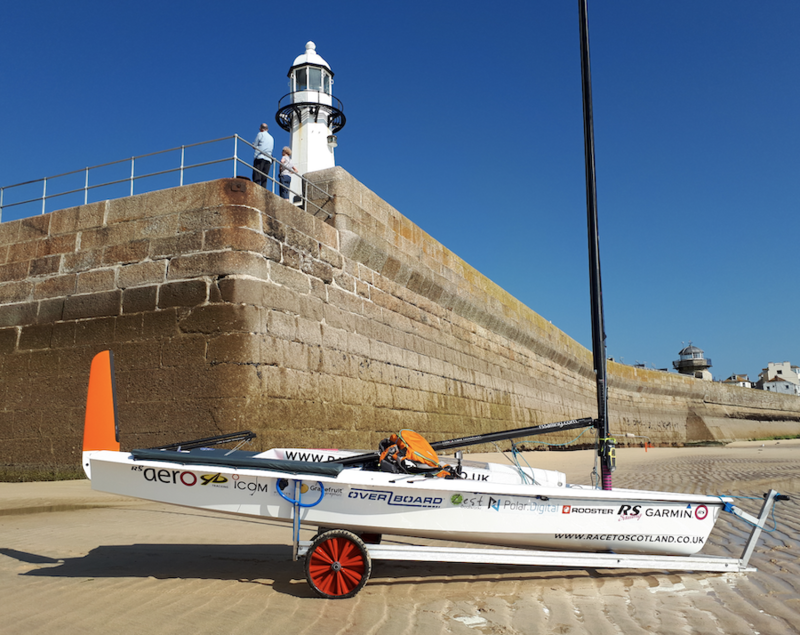 To commemorate the life of his father, Ken took off around the Isle of Wight in YODA, raising an incredible £5,000 for Cancer Research and Oakhaven Hospice along the way. This first feat was accomplished in 12 hours, but he wasn't about to stop there. His next endeavour saw him 'Race to Scotland' in a bid to raise £50,000. This epic adventure covered 865 miles and saw him attempt to sail from Lands End to John o Groats in the northern reaches of Scotland. This mammoth undertaking saw him battle whirlpools, surf beach landings, various storms and RNLI rescues. However, he persevered and continued sailing north. Unfortunately, horrific weather stalled him just 45-miles from his final destination and he had to call off the remainder of his journey. That didn't stop him from raising a whopping £37,015.65 of his £50,000 target. With just £13,000 left to go, and realising that cancer patients have no option of giving up the fight, he decided to complete one more challenge to reach his £50,000 goal - enter YODARE. In his own words - "One average bloke, in a very small dinghy, taking on one very big adventure for two amazing causes". With an incredible support crew on land helping Ken every step of the way, we were delighted to lend a hand by helping track Kens journey around the islands. If you would like to follow Kens progress, pop on over to his public tracking page, or better yet, check out his website and help him hit his target by DONATING to an incredible cause. We're with you every step of the way Ken! Good luck out there and as we all know - when it comes to Yoda, great things come in small packages!